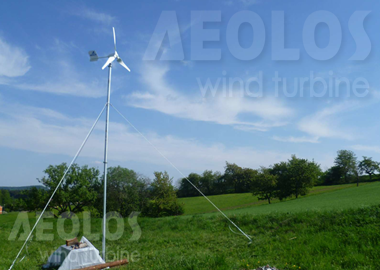 Aeolos-H 500W streetlight was installed in Prague, Czech. It is a demonstration model of Green streetlight lighting system. 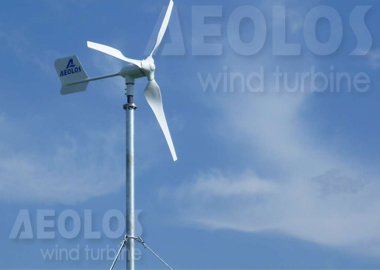 This 500W wind generator has 2 x 12V batteries and 24V DC output. It can supply a streetlight power every day.